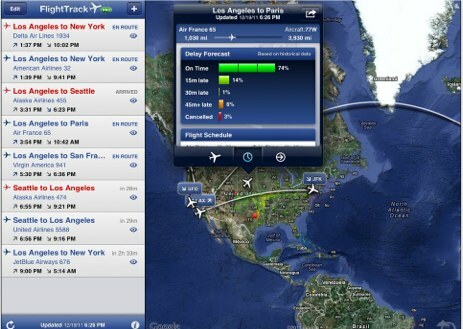 These are some of the best apps for “Business Travel” and for your next holiday. Some of these apps are suitable for both Android/Apple devices and some are just restricted to the iPhone/iPad platform. I have also listed some fantastic websites that might come in handy depending on your destination. 10 Essential Apps for Travelling in Europe. If you like taking lots of photos and have an iPad, I would highly recommend the “Lightning to SD Card Reader (iPad Mini or 4th Gen iPad) or Apple Camera Connection Kit (1st Gen to 3rd Gen iPads) to transfer videos and photos to your device. They both retail at $AU35.00 each. Do your research on your country you are visiting (eBooks of travel guides are much easier to carry on your device). 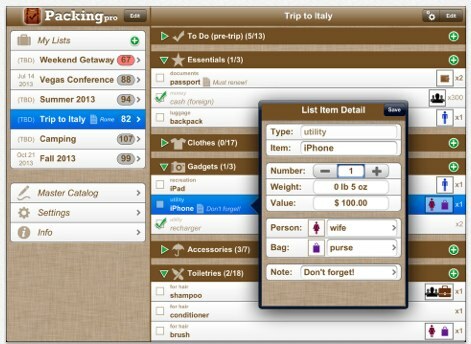 This app has lots of helpful features such as being able to export/import CSV files (Excel, Numbers or Google Docs Files), customise according the type of trip you are going on, to help you pack for your trip. There is also an “expert list” to help you plan based on the number of people, climate, and laundry (very handy to know)! With this app you can really travel smart and have that extra assurance about your flight details. It automatically syncs your itineraries with Tripit (app/online) as well as syncing with your phone’s calendar. I use this app when waiting for family and friends to arrive at airports (so you are not waiting around) and for when I travel interstate for business travel. You can also check for cancellations with this app as well. This app works in over 144 countries to find both free and paid wifi. Download the locations OFFLINE before your trip, so you don’t need to use Internet access to find them. Skype is available for cross platform use and Skype Wi-fi enables you to use Skype Credit (buy before your trip) so that you can connect to paid wi-fi spots such as in restaurants, hotels, bars and even airports. There is nothing worse than being overseas and needing to work out the exchange rate instantly. I have used this app personally and love being able to calculate the exchange rates. This app uses the camera in your device to detect text within a picture. It uses OCR technology (finds text within pictures) and it with text and it will translate the text in the picture for you. You will have to buy the appropriate translation pack depending on the country you are visiting. Keeping a journal of where you have been…. Personally I would use Evernote (free, paid, or premium) for taking a journal of what I have been doing on my trip. This means you can take images, add text or audio to remind you of what you did each day (makes it easier to put together a photo album when you return home). This app replaces the traditional postcards and gives you the freedom to take your own pictures and turn them into postcards complete with text and ready to post. 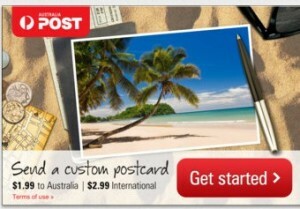 The rates are $1.99 for addresses within Australia and $2.99 for anywhere outside Australia. You can pay by Visa, Mastercard or Paypal. (It does require an Internet connection). 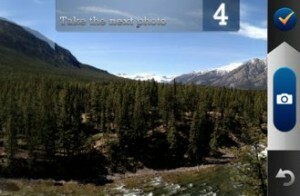 Ever wanted to take a panoramic picture on the spot, without having to use a piece of software? This is the perfect app for those amazing panoramic photos you just want to capture whilst on holiday. All you need to do is to take one shot after the other gradually moving your device across to get the images to line up. The app does the rest for you and voila you have a panoramic photo ready to show off to your friends and family. These apps are just to get you started on your holiday or work trip, what is your must-have app for going away for either business or a holiday trip? I enjoyed reading this post and liked that you make a personal connection with your audience. The app recommendations are spot on. I am sure frequent travelers will appreciate having these handy tools on their mobile device while traveling. Great post!